HighPulseRakeback.com will help you to get maximum value from playing poker at HPP. Get up to 50% rakeback at High Pulse Poker. Participate in our private freerolls and other private promotions. To become a member and get rakeback you must create a new account at High Pulse Poker using this Registration Guide. Registration takes about 2 minutes and you will be able to start playing poker after the registration immediately. You will not have to wait for approval. Create new account, make a deposit and play. You will receive rakeback in time. How membership can help you? We offer a lot of private promotions. These promotions are available only for HighPulseRakeback members. We are going to add special rake race for our members. Note: the race will be only for those players who have an account created with our referral code “RAKE”. We do not accept players with multi accounts. If you want to take part in our rake race you must have one active account created according to our registration guide. Are you new at High Pulse Poker? Do you want to receive a half of your rake back? Not sure how to start? Visit our detailed and fully illustrated Registration Guide. 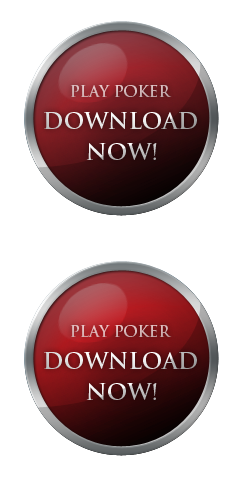 It will help you to download and create a new rakeback account at High Pulse Poker. How to get High Pulse Poker rakeback? If you want to know what is new at our website visit special News section. You will know all latest information about promotions and changes in the poker room. You can also discuss all latest news at our forum. Play poker as usually and return a half of your rake! Get up to 50% Rakeback at High Pulse Poker. This table shows your rakeback return if you only play poker. But High Pulse Rakeback gives really awesome opportunities for those players who invite their friends to play poker at High Pulse Poker. Your friends can help you to earn Step Points! Just invite your friends and they will make your way to Premium Rakeback much easier. But it is only a half of all benefits you can get inviting your friends to play. You can get up to 25% of your friend's rake! Our "Refer A Friend Program" is unique! We do not ask you to sign your friends to High Pulse Rakeback. No, your players are yours! Give them your personal Referral Code and they will be yours for life. How to participate in our Referral Program? Register at High Pulse Poker using our Registration Guide and you will Join our Referral Program automatically. Rakeback is paid every Sunday at 12:00 (CET) to your High Pulse Poker account. You will have an instant access to your money after the payment is done. You want to promote HighPulsePoker? Contact us via e-mail and we will discuss possible options. HighPulseRakeback.com is ready to cooperate with all motivated and serious affiliates. HighPulsePoker is a great poker room that will bring a lot of changes to the world of online poker. The room does not belong to any network. It is an independent project and that means we will see many new features in future. HighPulseRakeback.com will help you to get maximum value from playing poker at HPP. You can join to a huge number of players who have chosen this awesome room. Create a new account and start playing poker at High Pulse Poker now! HighPulseRakeback.com is an informational website about rakeback at High Pulse Poker. Our aim is to tell poker players about rakeback benefits at HPP. We offer a lot of valuable information about rakeback payments, system and different changes at HighPulsePoker. We are glad to see you at our website. Good luck at the tables! High Pulse Poker Rakeback was reviewed by HighPulseRakeback.com and earned a 9.2/10 rating.